Grizzly G9675 - Multi Flute End Mills - 1/2" Dia. 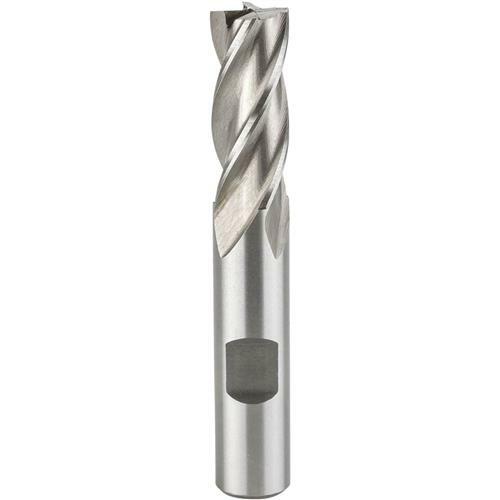 This 4 Flute Single End mill is center cutting. Shank diameter is 1/2".Dia. : 1/2"Flt. Lgth. : 1-1/4"Oal. Lgth. 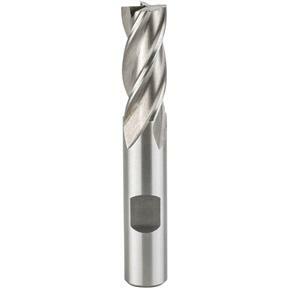 : 3-1/4"
This 4 Flute Single End mill is center cutting. Shank diameter is 1/2". My very first experience with end mills was a good one thanks to Grizzly. Product was fine but packaging was poor. I ordered three end mills but received only two. The package had been ripped open and retaped. I bought to use on my south bend lathe with the milling attach worked great.